Missed Part I? Check it out after you read Part II. 4. 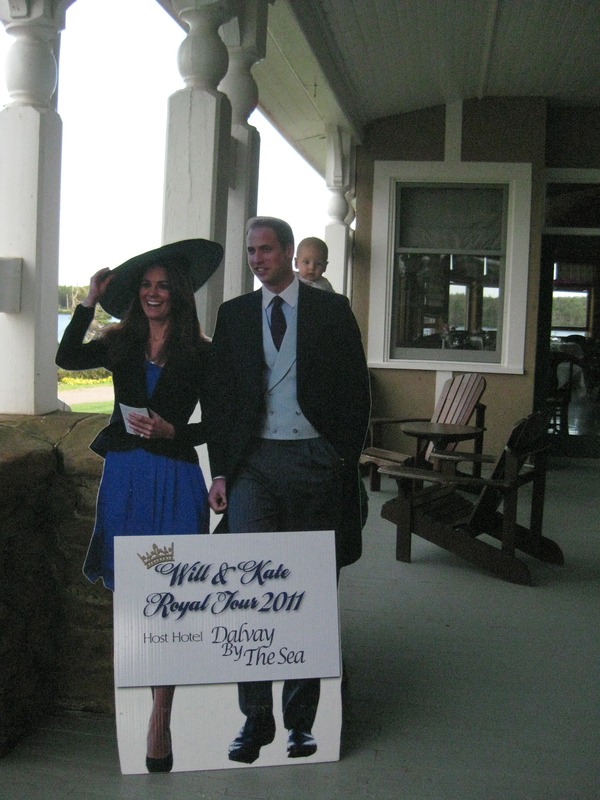 You can’t just take tea at Dalvay-by-the-Sea anytime, even though I’m sure Will and Kate did on their royal post-nuptial tour two months prior to our visit. Activities are truly seasonal here. In September, tea time was not open to the public. And the inn is closed altogether resortOctober thru June. Our hopes for an authentic tea time dashed to pieces, we strolled the grounds and peaked into the interior of the Queen Anne Revival mansion, also featured in the Anne of Green Gables film as the Whitesands Hotel. Of course, I couldn’t pass up the opportunity to have my daughter pose with the royals before we left. 5. 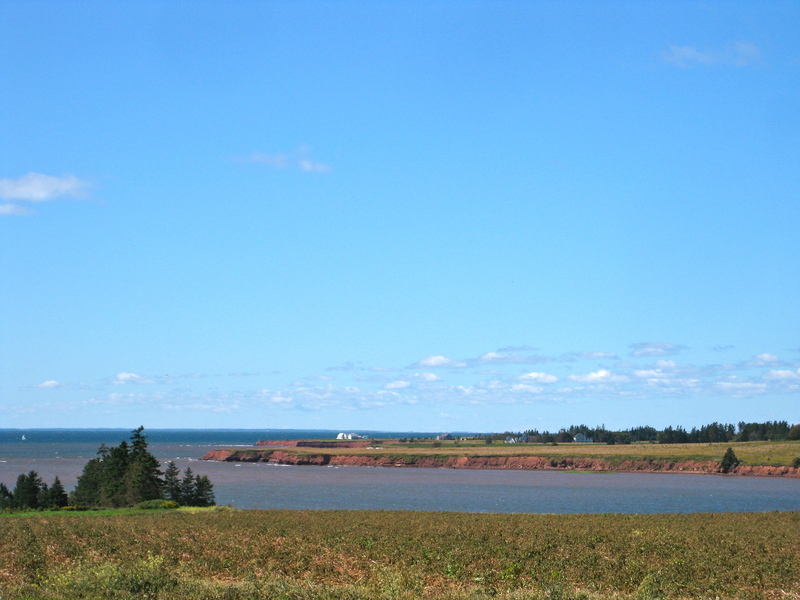 A tad bit of significant Canadian history took place in P.E.I. In 1886 the capital, Charlottetown, hosted a gathering of Canadian statement which initiated the Confederation and the establishment of Canada as a united country. Hence everything on P.E.I. is named “Confederation” this or that. Confederation Bridge, Confederation Trail, etc. They won’t let you forget it. 6. We experienced authentic hospitality. As a rule, when our travels converge with a Sunday, we seek a place of worship where we would be comfortable in fellowship with those that share our faith. On this particular Sunday, we entered the country church on a sunny morning to the sounds of the congregation singing a cappella hymns with wonderful harmonies. 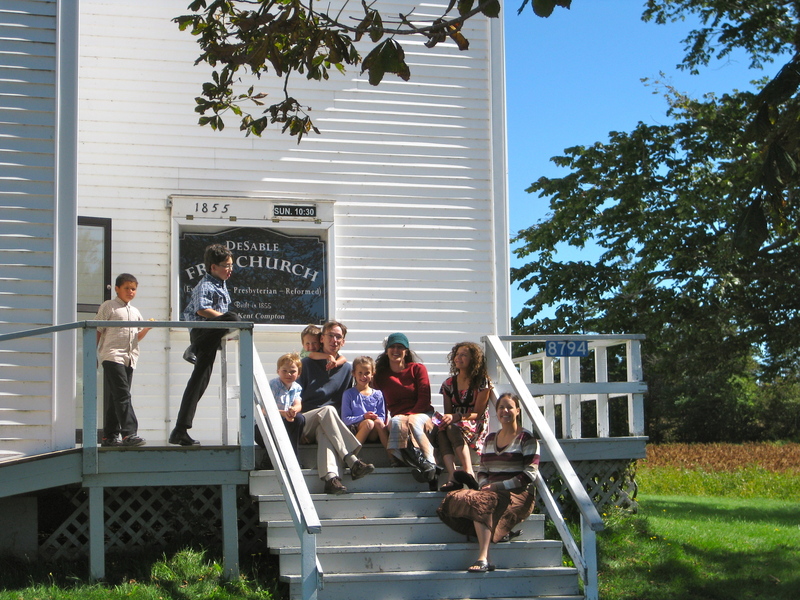 After the service we were invited to join them in the church basement for an old-fashioned potluck, something this church did every Sunday. The conversation was lively and I couldn’t have felt more welcome if I had been born, bred and married in the church. What a testament to the character of those P.E.I. faithful. View from the church veranda upon exiting after the service. And this tip is for free: don’t go after Labor Day (first Monday in September). Everything to support a non-permanent resident such as restaurants, coffee shops, gifts shops, etc are CLOSED for the season. We could hardly find a place to pick up coffee outside Charlottetown a week after Labor Day. You’ve got to know somebody who knows somebody if you’re going to survive after the summer-steaders have gone. Don’t say I didn’t warn you.